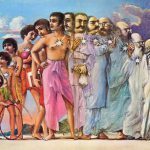 Home Featured Articles Srila BV Swami Prabhupada and Govardhana! Before the appearance of Sri Caitanya Mahaprabhu, various incarnations of Bhagavan such as Matsya, Ramacandra and even Krsna Himself descended to offer a particular gift for the welfare of human society according to the people’s eligibility to receive it. Each gift had its own unique characteristic. Nrsimhadeva came to give more than Matsya and Parasurama came to give more than Nrsimha. What Ramacandra came to give for the welfare of the living entities was still more advanced, and what all incarnations gave collectively together, as well as that which They did not give, was absorbed into Krsnacandra for His descent. He gave what no incarnation ever gave before Him. He gave one very special item – prema. Ramacandra gave dasya-bhava but not pure prema because at that time people were not qualified to receive it. They were not eligible. Therefore Ramacandra only gave prema which was bound within the limits of maryada (rules and regulations). This was suitable and useful for the people of that age. But Krsnacandra removed this maryada and gave prema combined with visrambha-bhava, the most beautiful variety of prema which is unrestricted in any way and very intimate. And He gave it not only to human beings, but to birds, animals, insects and even to creepers. No other incarnation had ever done this before. The eternal position of every living entity, in any species of life, is to love Krsna – jivera svarupa haya nityera-krsna-dasa. Krsna gave prema to creepers, peacocks, cuckoos, parrots and He also made them mad with this prema. Other incarnations gave the Vedas and instructions to respect your parents, respect your elders and to live properly with your marital partner. These instructions are included within the category of regulative injunctions, but no incarnation before Krsna had shown so clearly that the very svarupa of the jiva is to love Krsna. Therefore the prema which Krsna bestowed is very special. Krsna had a special method for giving prema. He had a scale with which He used to weigh someone’s devotion before giving them prema. To one who had devotion worth one paisa, He gave prema worth one paisa. To one who had a bhava worth two paisa, He gave prema worth two paisa. He did not give more and He did not give less than what was appropriate; He weighed their devotion and gave the precise corresponding amount of prema. And there is one more point here: Krsna gave rasa only according to the specific type of vessel one possessed. To those in santa-bhava He was seen as Brahman, to those in dasya-bhava He was seen as Prabhu and to those in the moods of sakhya and vatsalya He gave rasa accordingly. But a vessel was necessary. When the same Krsna descended five-hundred years ago as the most munificent Sri Caitanya Mahaprabhu, He broke this routine. It was as if He was saying, “Where will you all get the vessels? There is no need. Just come to Me and I will give you the vessel, the rasa and the prema.” This is the special mercy of Caitanya Mahaprabhu. He broke this rule, ye yatha mam prapadyante. “I will give krsna-prema to whoever comes to Me, even if they desire something material. Even if someone approaches Me with a bhava worth only one paisa, I will give him prema.” The great mercy of Caitanya Mahaprabhu is that He not only gave the container, but He gave the highest category of prema which even Krsna could not give. Why could Krsna not give such prema? Krsna was the enjoyer, the purusa. He gave service to Himself. But Caitanya Mahaprabhu is the dark form of Krsna covered by the golden hue of Srimati Radhika. 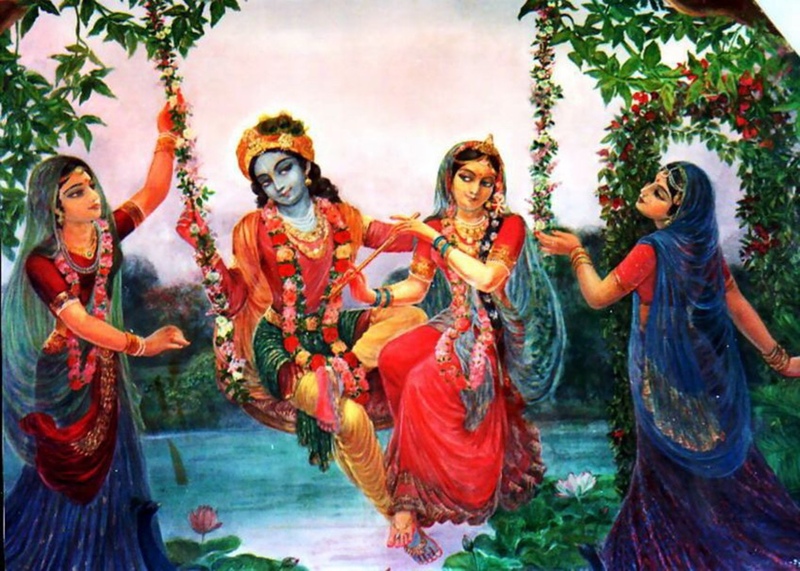 Therefore His activities are Radha’s, although underneath the surface is Krsna’s body. Here Krsna is not independent. Who is independent? Radhika has the independence here. Krsna’s mind is completely covered with Radhika’s bhava and His body is covered by Her body. Therefore whatever Caitanya Mahaprabhu manifests – such as His crying out, “Krsna! Krsna!” – all comes from Srimati Radhika. Krsna is completely covered with Her bhava. But in krsna-lila, Krsna was not covered by the bhava of Radhika. As Rasaraja, Krsna can relish rasa, but He wants to relish the bhava of Radhika, mahabhava. Therefore He begged Her for Her bhava. So Radha and Krsna came together in combined form as Mahaprabhu. Thus whatever is given by Mahaprabhu is of such a nature that even Krsna cannot give it. What is that which had never been given before? Anarpita carim cirat karunayavatirnah kalau. Accepting the bhava of Radhika, accepting Her bodily hue and being full of mercy, Krsna has come to this world as Mahaprabhu to give one specific bhava which had never been given before. What is that bhava? Unnatojjvala-rasam sva-bhakti-sriyam – this unnatojjvala-bhava is none other than parakiya-bhava. In the Ujjvala-nilamani, Srila Rupa Gosvami has explained all of this in detail. Radhika is the best among all the gopis. Becoming maddened in Her bhava, Sri Caitanya Mahaprabhu descended. The beauty of Her bhava is like the beauty of a creeper. A creeper always has leaves. If a creeper were to be without leaves and manjaris (buds), it would be bare and therefore not beautiful. Creepers have many blossoming leaves, fruits and manjaris which tremble in a gentle breeze, and due to this they are beautiful. The beauty of Radhika’s bhava means the dasi-bhava of the gopis, unnatojjvala-rasam sva-bhakti-sriyam. This is the item which Mahaprabhu came to bestow which had never been given before. There have been many great acaryas like Madhvacarya, Ramanuja, Visnusvami and Nimbarka, and before them there were great, great rsis like Narada, Sukadeva Gosvami, Parasara, Rsabhadeva and Kapiladeva. What did they give? Did anyone give this bhava which Mahaprabhu gave? When not even Krsna could give it, how could anyone else? But Rupa Gosvami has delineated in his writings the precise same bhava which Mahaprabhu brought to this world. And what did Bhaktivedanta Svami Maharaja come to give? What did he want to relish? What was his main objective? That we must discuss, and through discussing it the whole point of why he came into this world will become clear. 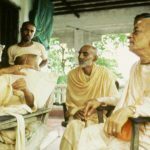 Bhaktivedanta Svami understood that bhava which Caitanya Mahaprabhu came to give, and to give it and establish it he worked his whole life. 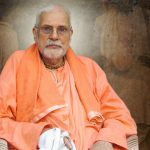 Svamiji went to the Western countries and preached, and he also beautifully translated Bhagavad-gita, Srimad-Bhagavatam and Caitanya-caritamrta into English. He preached to the entire world. But what was his main goal? 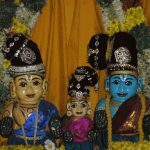 Was the bhakti preached by Ramanuja his objective, or was it the refutation of the Mayavada philosophy of Sankaracarya? 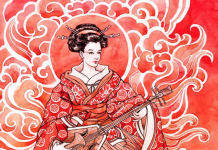 He refuted Mayavada philosophy vigorously, but is that really why he came? Was distributing the knowledge given in the Bhagavad-gita the main goal of his life? 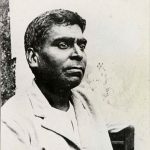 Did he come only to give the teaching of the Gita that “I am not this body”? Svamiji’s desire was especially to go to Govardhana. In all of Vraja-mandala, Gokula is the best because Gokula is where Krsna was ‘born’ from the womb of Yasoda and where He performed His childhood pastimes. In Gokula there is a multitude of cows, gopis and gopas. And the main gopa is Krsna. He resides in Gokula, which includes Nandagrama, Varsana, Kamyavana and Vrndavana. In all of Gokula, Vrndavana is the best, and in Vrndavana, Govardhana is the best. In all of Govardhana, the two eyes, Radha-kunda and Syama-kunda, are the best. The sweetest, most attractive pastimes of Sri Sri Radha-Krsna take place there. Svamiji wanted to go to Govardhana because there the best of all of Their pastimes, the rasa-lila, takes place in a special way. In Vrndavana all the gopis participate in the pancayati-rasa. But at Govardhana svarupa-sakti is manifested in a special way and only particular sakhis like Lalita, Visakha, Citra and Campakalata, who are very close to Radhika’s bhava, take part. Thus Krsna enjoys with Radhika in the kunjas where even Candravali and her sakhis cannot go. There Radhika and Krsna can enjoy freely according to Their desires. There is no such freedom in Vrndavana. Krsna laughed and said, “Why are you asking Me for a boon? Even Prahlada did not accept any boon from Me, and he is only My ordinary devotee. He said that if he ever desires a boon, he will let Me know.” Thus Krsna spoke in great fun. Due to this fear people generally don’t worship Krsna – only poor people worship Him. Everyone is afraid that, “We may lose everything.” When Krsna bestows His mercy on someone and accepts him, He takes away all their wealth. Therefore everyone worships he who has a long trunk, Ganesa, or Durga, Sankara or any other demigod. They are afraid to worship Krsna. Now tell me, can Prahlada’s imagination stretch so far? Even Hanuman’s imagination cannot stretch so far. Therefore Yudhisthira Maharaja is a better devotee than either Prahlada or Hanuman. He wants everyone to worship Krsna and he wants the pleasure of Krsna only. This is why he is included within the category of hari-dasa. Uddhava went there and studied in that school where Lalita and Visakha are teachers and the headmistress is Srimati Radhika. He went there, offered pranama, received the mantra and studied for a long time, about ten months. When the course was completed, the gopis sent him back: “Now you can return – you have passed the examination.” Then Uddhava returned to Mathura and met with Krsna. Therefore Uddhava is better than Yudhisthira. “If in Vrndavana – no, not in Vrndavana – if at Giriraja Govardhana I could become a blade of grass and receive the dust of the gopis’ feet on my head, I shall achieve the ultimate perfection and my life will be fully successful.” Therefore at Govardhana, near Kusuma-sarovara, is Uddhava-kunda. There Uddhava accepted birth as a blade of grass beneath a shrub and began performing penances for millions of years. Then he received darsana of the gopis. 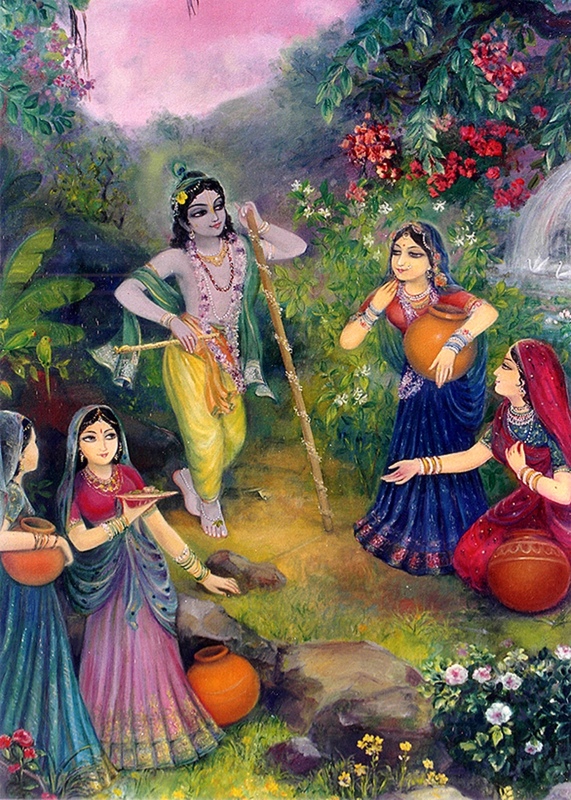 When the gopis would walk to Krsna, the dust of their feet would fall on his head. He did not desire the footdust of any other devotees. Therefore he came to take shelter of Giriraja Govardhana. So, although he himself is included within the category of hari-dasa, Uddhava takes shelter of Govardhana. Uddhava is hari-dasa, but he also seeks the shelter of a greater hari-dasa. When Krsna goes to Govardhana with His friends, they drink water, eat fruits and take their cows out to graze. They roam in a carefree manner and enjoy their pastimes. Giriraja provides kunjas, caves, water, fruits and flowers for Krsna’s service. He is always ready to perform any service for Krsna. The bushes and trees found within Govardhana’s kunjas are actually his hairs standing erect in ecstasy. 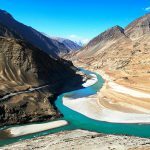 What are the water and waterfalls of Govardhana? They are his tears of love when he cries in the ecstasy of krsna-prema. Everything of Govardhana is saturated with krsna-prema. And when Radha-Krsna perform Their pastimes there, even in the most secluded place, Govardhana sees. Therefore Giriraja Govardhana receives the maximum mercy from Radha and Krsna. Some devotees worship Govardhana as Krsna Himself, but in the Gaudiya sampradaya we worship him as a great devotee, not as Bhagavan, because as a devotee he can bestow the prema-rasa which is displayed there. If he is Bhagavan, then he cannot give that prema which Radhika and Her girl friends and even their devotees can give. Therefore devotees always aspire to go to Giriraja Govardhana, who has witnessed all of Radha-Krsna’s pastimes. Devotees know that Giriraja Govardhana can bestow that prema which is relished by Sri Sri Radha-Krsna and which Sri Caitanya Mahaprabhu descended to distribute and to taste Himself. 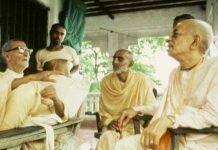 Therefore Svamiji, like Rupa Gosvami, Srila Bhaktisiddhanta Sarasvati Gosvami Prabhupada and my own worshipable gurudeva, Srila Bhakti Prajnana Kesava Gosvami Maharaja, also wanted residence near Govardhana. Govardhana is the best place in Vraja for both sadhakas and siddhas. If a sadhaka who does not have prema does bhajana there, he will get prema, and if a perfected devotee goes there, he will relish Radha-Krsna’s nitya-lila. He will also receive darsana of the mahabhava which is most dear to Radha-Krsna and which he himself also aspires to attain. It cannot be attained anywhere else. There are three personalities in Vrndavana who can give prema – Lalita, Giriraja Govardhana, and the Yamuna. Therefore devotees take shelter of these three and thus try to become eternal maidservants of Radhika and gain Her favour. I also desire to take shelter of Giriraja Govardhana with these aspirations in mind. Svamiji also wanted to go to Govardhana with the same idea in mind. 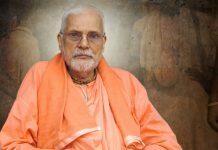 His life’s ideal and principal desire was to give this prema to the world, but first he had to spend a long time in cutting away the jungle and in preaching vaidhi-bhakti. He desired to translate the Srimad-Bhagavatam in full and especially to elaborately describe the pastimes narrated in the Tenth Canto. But Bhagavan did not agree and He called him back to His nitya-lila. Perhaps Krsna did not want him to remain in separation from Him any longer. Therefore Svamiji’s desire to go to Giriraja Govardhana was fulfilled by Bhagavan’s calling him back to Giriraja Govardhana in Goloka-Vrndavana. Giriraja Govardhana is our primary shelter because prema-bhava is the highest there. Svamiji came to relish this pinnacle of krsna-prema and to distribute it to the residents of this world.